Every industry has stringent requirements surrounding packaging. Colorado Label & Packaging, Inc. (CLP) is continually monitoring these regulations to ensure that we are producing materials that will help to keep your customers safe and your products honest. The flexible packaging film used at CLP is classified as “food grade” and is resistant to moisture, extreme temperature changes, odors and grease. The barrier film we use can withstand chemicals to keep your customers and employees safe. Our team is fully informed about the products that will be packaged in the film we create so we can ask the right questions and produce the right type of packaging. 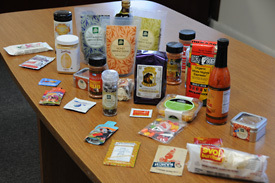 To learn how flexible packaging, custom labels or tags could improve your industry’s products, please contact Colorado Label & Packaging, Inc. in Denver, Colorado today.